From traditional Mexican artisan handicrafts to the spectacular modern paintings, prints, and sculpture of internationally acclaimed artist Glen Rogers, Mazatlan art galleries offer something for everyone. 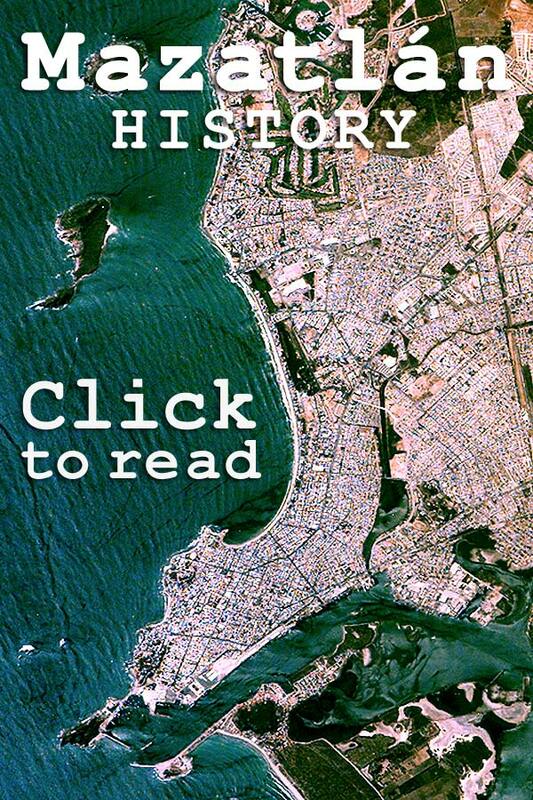 The Centro Historico is, without a doubt, the home of the visual arts in Mazatlan, and is home to our popular Fine Arts Museum. 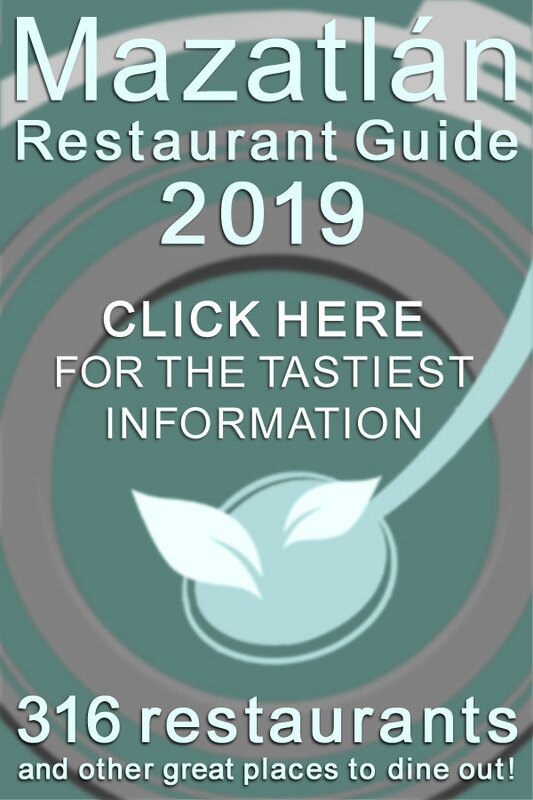 It has gained a worldwide reputation as a top rated destination for both collectors and artists. Painters, sculptors, printmakers, photographers, fabric artists and more have set up their studios throughout the Centro Historico where galleries -- and artists studios -- are unmatched anywhere in The Pearl of The Pacific. The Centro Historico is also home to the Mazatlan Artwalk (Camino del Arte). This spectacular self-guided tour of not only Centro Historico art galleries, but artist studios showcases paintings, photography, drawings, sculpture, jewelry and more created by Mazatlan-based artists. Sponsored by Cultura Mazatlan and numerous businesses, the 2018-2019 season saw a number of new artists join the artwalk -- including many artists from outside Mexico -- and the 2019-2020 season is expected to be even bigger and even better! 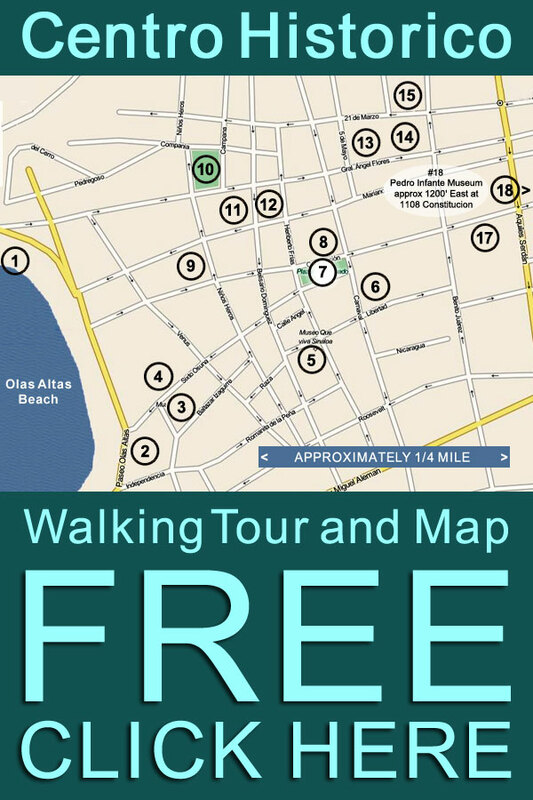 Mazatlan Artwalk sites are easy to access, with all sites located within a roughly 10 square block area from Olas Atlas to Teniente Azueta, east to west, and Aleman to Canizales, north to south. The Mazatlan Artwalk takes place the first Friday of each month from December until April, from 4pm to 8pm. An absolute must-do if you are in town on the first Friday of any month between November and May, the Mazatlan Artwalk is great fun for the entire family. 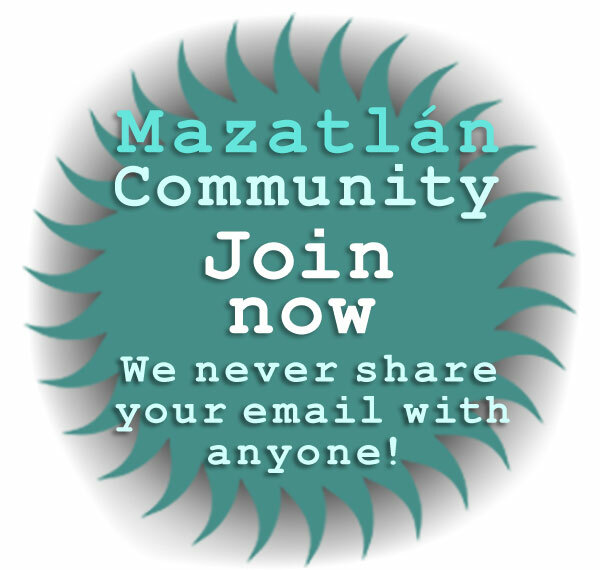 And -- whenever you visit Mazatlan and whether or not you go on the Artwalk -- visit one of our 14 recommended galleries or artists studios and experience the beauty that can become part of your life back home! The Angela Peralta Theater has two public art galleries both of which host revolving shows: the upstairs gallery above the theater is usually referred to as the Galeria, and the downstairs gallery, Galeria Rubio. The galleries are open weekdays from mid-morning until late afternoon. Mazatlan art gallery featuring public exhibitions of works by local artists. Baupres Gallery / Gallería Baupres in Mazatlan is a combination gallery and teaching studio. Founded by artist Dory Perdomo with the help of art teachers and exhibited artists Rafael Avila, Sergio Flores, Salvador Herrera and Lucila Santiago, this gallery / teaching space offer multidisciplinary art workshops and stages regular exhibits. Baupres Gallery / Gallería is open from 10am to 2pm and from 4pm to 8pm every day except Sunday. Mazatlan art gallery and artists' teaching studio located in the Centro Historico. Casa Etnika art gallery in Mazatlan is a delightful boutique art gallery offering unusual Mexican artisan handicrafts, jewelry, furniture, and stunning Sinaloa wildlife photography. This unique Centro Historico art gallery has received rave reviews in international publications like Travel and Leisure magazine the Lonely Planet. Casa Etnika Mazatlan art gallery also offers some of the best coffee in the Centro Historico served in their popular EtniKafe', and is one of the most relaxing galleries in Mazatlan. 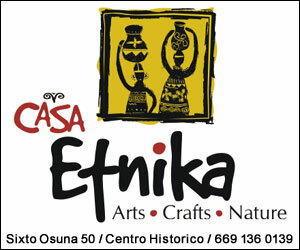 Casa Etnika is open 9am until 7pm every day except Sunday. Mazatlan art gallery featuring numerous styles of artisan works, crafts -- and delicious gourmet coffee! -- in the Centro Historico. Gandarva art gallery in Mazatlan is a beautifully decorated artisan craft shop located half a block away from Plaza Machado in the Centro Historico. 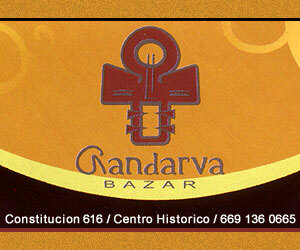 The popular Gandarva Bazar is the perfect Centro Historico art gallery to buy fine Mexican artisan crafts, marvelous jewelry, musical instruments, and home decorating accessories. Open 10am - 9pm every day except Sunday. Mazatlan art gallery in the Centro Historico featuring artisan crafts, jewelry, musical instruments, and home decorating accessories. Glen Rogers is an internationally acclaimed artist whose artworks include paintings, prints, drawings, and public sculpture. Her work is inspired by ancient symbols carved on rocks and cave walls around the world. 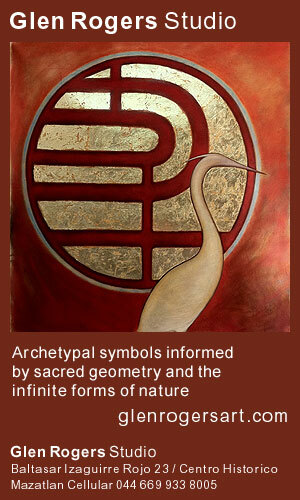 Glen Rogers uses archetypal symbols that are informed by sacred geometry and the infinite forms in nature. Glen Rogers' artwork -- which has an undeniable feminine quality -- is both mystical and meditative and transcends into the spiritual realm. The Glen Rogers Art Studio & Gallery in Mazatlan is located in the Mazatlan Centro Historico, and serves as both a gallery and as the location of Glen Rogers' popular workshops. Unique among the art galleries in Mazatlan, the Glen Rogers Art Studio & Gallery is a must-visit for art lovers visiting the Centro Historico. Art Gallery & Artists' Studio in the Centro Historico featuring paintings, drawings, prints and sculpture. 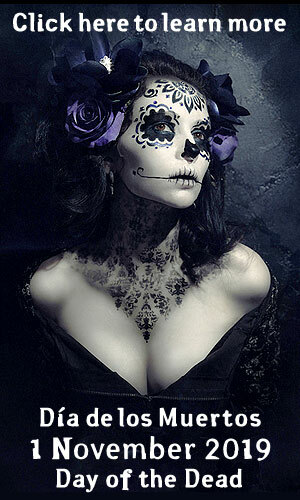 Kellogg y Kain in Mazatlan is an art gallery that showcases the art of Mexico like you have never seen it before. Bodie Kellogg's distinctive and frequently vivid artwork captures with a fresh perspective the character and the soul of Mazatlan and surrounds. His work is presented mostly on giclee (gallery) canvas but also on other media - spectacular woven tapestries, mugs, art jigsaws, coasters, note cubes, cutting boards, bookmarks, postcards, and more. Bodie's photographic work varies from such subjects as particularly interesting people, to varied places or events which provide profound momentary insights into the essence of Mexico and its people. His innovative methods of enhancement of the original photograph elevates and intensifies the subjects into more dramatic and exciting pieces of art, and has been much lauded. Photographic Art Gallery in the Centro Historico featuring the photography of Bodie Kellogg. La Querencia Art Gallery in Mazatlan is located in the Centro Historico right on Belisario Domínguez street, just one block from our famous Plaza Machado. La Querencia Galeria de Arte has always been known to offer a large and diverse selection of Mexican artisan crafts and artwork from all different regions of Mexico including the states of Jalisco, Michoacan, Guerrero, Puebla, Oaxaca, Nayarit, Queretaro, Chiapas, Veracruz and of course from our state of Sinaloa. But La Querencia has evolved, and is now an "art bar" where you can view and shop for art while sipping a fine wine or sophisticated cocktail! Like several of the art galleries in Mazatlan, La Querencia Art Gallery is a family owned business. Founded by sisters Isabel and Silvia Osuna, La Querencia Art Gallery is a friendly place, and often showcases family members artwork like Rafael Osuna's sculptures, and Roberto Osuna's paintings. La Querencia Galeria de Arte is open from morning until evening, every day but Sunday. Mazatlan artisan works and collectibles in the Centro Historico. Los Tlacuaches art gallery in Mazatlan is an artists' cooperative located in the Mazatlan Centro Historico. This Mazatlan art gallery shows the artwork of Miguel Flores, painter; Sergio Flores, sculptor; and Siboli, artisan jeweler. Mazatlan art gallery in the Centro Historico featuring paintings, sculpture, and artisan jewelry. One of the most fun art galleries in Mazatlan, the perennially popular Galeria Michael is a boutique arts and crafts mecca packed with a great selection of Mexican handicrafts, including blown art glass, wood carvings, wrought iron and an excellent collection of Mexican fine artisan silver jewelry and Tlaquepaque crafts. The Michael art gallery in Mazatlan has two locations and is one of the most consistently top rated arts and crafts galleries in Mazatlan. Mazatlan art gallery featuring Mexican collectibles, handicrafts, blown art glass, wood carvings, wrought iron and an excellent collection of Mexican artisan silver jewelry. Nautilus Galeria in Mazatlan is located just off the Plaza Machado in the Centro Historico. The gallery features drawings, prints and paintings by Blas Nayar, a well-known artist originally from Nayarit State. Mazatlan art gallery in the Centro Historico. 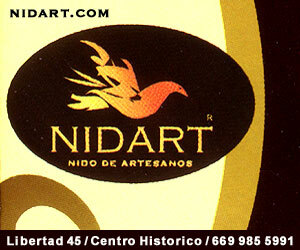 Nidart ("Nest of Artisans") in Mazatlan was founded by Loa Molina and Rak Garcia in 1992. Located in the Centro Historico, this gallery displays not only the artworks of the founders and their children, but from artisans throughout Mexico. Nidart art gallery in Mazatlan is both gallery and an exhibition hall, and is also the home of the remarkable leather masks which are Rak and Loa's signature art form. Constructed of cowhide, goat skin, pig skin and fish skins, these dazzling hand-crafted masks are designed to represent primal forces such as earth, fire, water and wind. Nidart Mazatlan art gallery offers masks and sculptures in leather; clay and leather figurines; artisan-designed silver jewelry; and traditional and contemporary Mexican handicrafts. 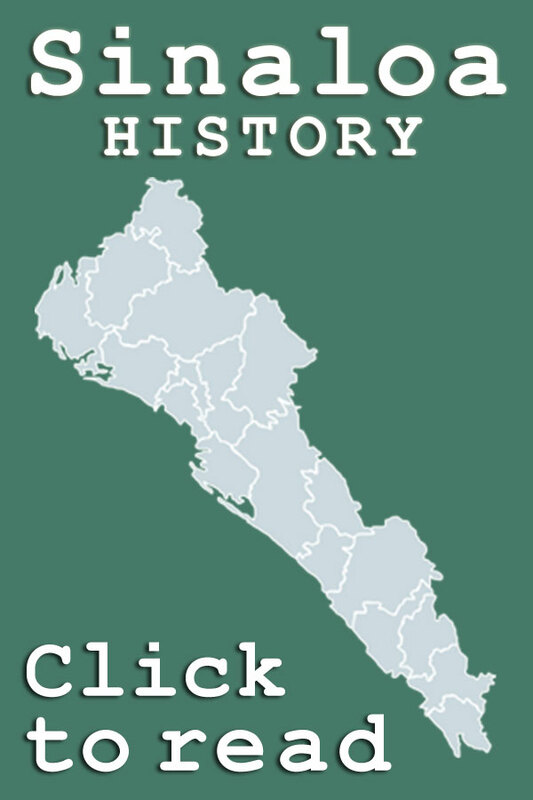 Rak and Loa are also accomplished potters, and have founded a pottery school and workshop, Limon y Mango, which is also located in the Centro Historico. Your visual arts experience of Mazatlan starts right at the airport! Designed to be a permanent fixture of the General Rafael Buelna International Airport mezzanine, OMA Gallery is a modern minimalist construction of four large displays panels floating from the ceiling with artwork displayed on both sides. Present at the opening in mid-2011, Secretary of Tourism Oralia Rice indicated strong state support for the arts in Mazatlan -- and elsewhere in Sinaloa -- and the importance of promoting the quality and diversity of local artists to visitors. Mazatlan art gallery at General Rafael Buelna International Airport featuring paintings, and other 2D artworks by Mazatlan-based and Sinaloa artists. "�nico" means "unique" in Spanish, and the Unico Gallery in the Mazatlan Centro Historico is a very unique combination gallery and antique store. Founded by Mario Cobos, a former antique dealer and auctioneer from Montana and partner Jon Juan, an interior designer, this store is really fun! If you've ever felt the need for antique Mexican glass, paintings and posters of bullfighters, antique or modern Mexican silver, wild ceramics or fossilized dinosaur eggs -- you know, things like that -- Unico Gallery is the place you need to visit on your next tour of the Centro Historico. Unico is open Monday - Friday from 10am until 6pm, Saturdays 10am until 2pm. Mazatlan antique and art gallery located in the Centro Historico.